Kiara 1888 located in the popular residential precinct of Mont' Kiara. 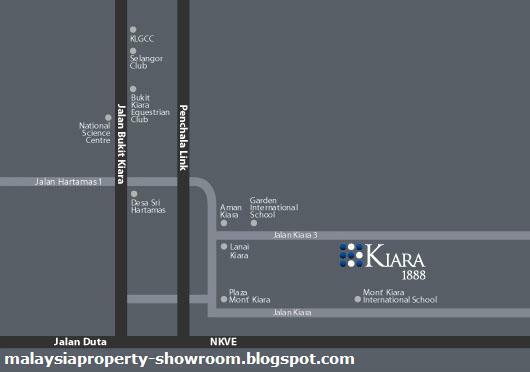 At Kiara 1888 all the elements are present to dazzle your life in this low-density community. Its impressive metal and glass facade alone is an architectural marvel. Together with many intimate gardens your journey to a world-class contemporary paradise begins here. Combining modern contemporary architecture with a plush assortment of lifestyle pastimes, this residential is the essence of modern living. Beautifully manicured with Zen garden, tropical fairways and water features, life here is simply delightful. 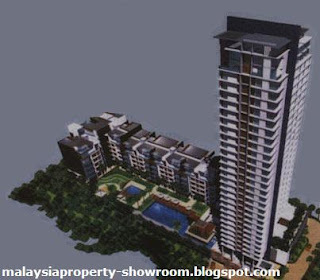 Built-up Area : 1,238 sq.ft. - 3,983 sq.ft.